Jupiter’s moon Europa is an interesting world. It is a bit smaller than our moon, and its mass and density suggests it has a rocky mantle and iron core. But most interesting is its surface, which is not only icy, but remarkably free of craters. Given that Europa’s surface has much fewer craters than we would expect, it would seem that Europa’s surface is re-coated with ice over time. This suggests that Europa’s surface is an ocean of liquid water covered by a thick layer of ice. In addition to the relatively smooth surface, Europa also has a magnetic field which is induced by the strong magnetic field of Jupiter. This suggests a conductive material, which is likely liquid salt water. 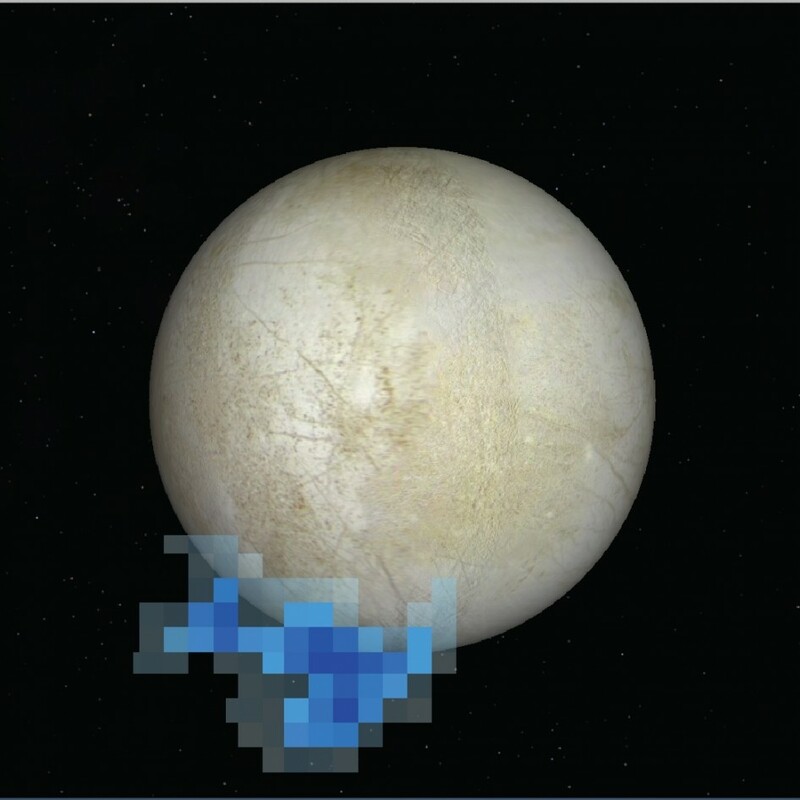 Then this week NASA announced the detection of water plumes on Europa. What they actually detected were bursts of ionized hydrogen and oxygen, which is what would be produced by plumes of water ejected from its crust. As you can see in the composite image image below, the resolution is really low, so it is difficult to directly confirm a water plume. But observations showed that the plumes coincided with the times when Europa was farthest from Jupiter, which suggests that they are driven by tidal forces caused by Jupiter. This agrees with the model that Europa is able to maintain a liquid ocean because Jovian tidal forces squish and squeeze the moon to keep it warm. Of course with all that liquid water, the question is raised about the possibility of life on Europa. To answer that question, we’ll probably have to land a probe on the surface. 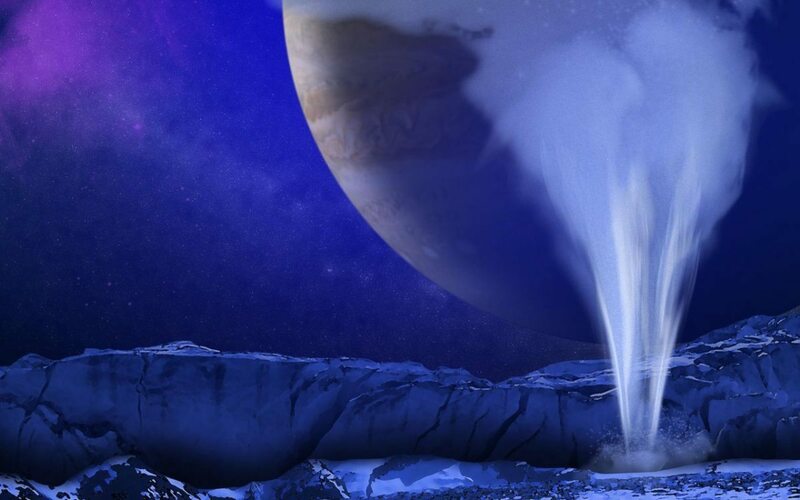 If we could land one near a water plume, that could make the search for life much easier.